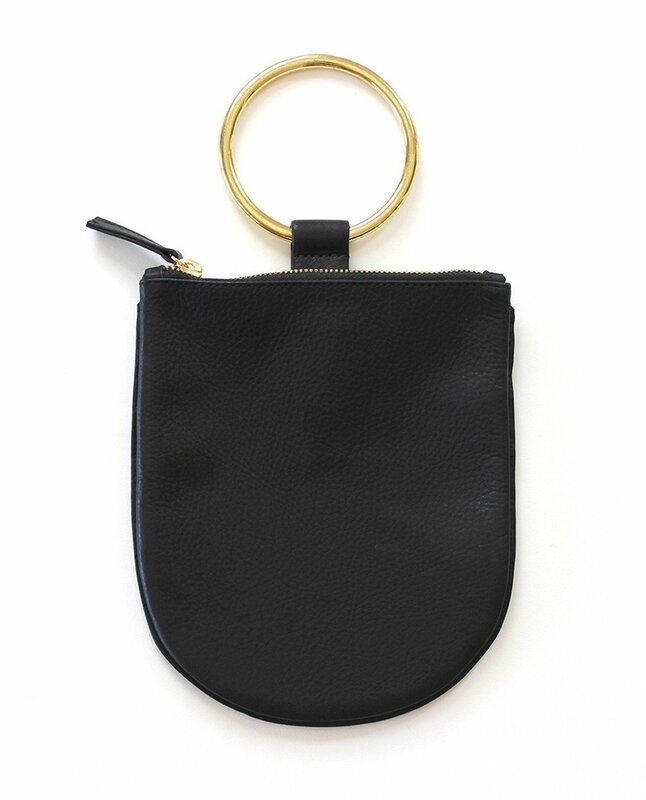 From Otaat/Myers Collective, a modern pouch in Black. Main compartment with zip closure and pull tab. Tonal stitching. Metal ring handle. Brass hardware. Unlined.